CARIBOU - A Caribou company has been selected to conduct environmental assessments as part of the Northern Maine Development Commission's (NMDC) Brownfield program. 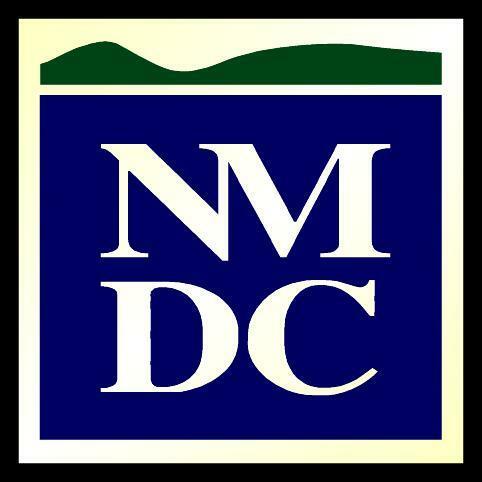 The NMDC Executive Board, meeting Thursday, Nov. 13, approved a contract with County Environmental Engineering. NMDC received a $200,000 cooperative agreement with the Environmental Protection Agency (EPA) to complete assessments. "Assessments will be completed on sites thought to be contaminated with hazardous substances and several sites must be identified meth labs," said NMDC Senior Planner Jay Kamm. Kamm said NMDC received two excellent bids, but after a thorough review and scoring process, County Environmental Engineering was the clear choice. A Brownfield is a property, the expansion, redevelopment or reuse of which, may be complicated by the presence or potential presence of a hazardous substance, pollutant or contaminant. CARIBOU - Maine is a big state, but thanks to efforts of APP's Diversified Agriculture Working Group, the northern and southern parts of the state are starting to work together ,which makes it seem not quite so big. The group, which represents growers, distributors, economic development officials, and industry representatives, met Friday, Nov. 14, at the NMDC boardroom in Caribou to discuss the October Vermont "Farm to Plate" annual meeting lessons learned, recent food related statewide activities that emphasizing economic growth potential, new local farm activities, a new pilot Community Supported Agriculture project and hear about the growing connection between the Portland market and Aroostook. "We are shrinking the state, which is a prime objective, as we want to better connect supply and demand and thus grow Aroostook farm production capacity and profits," said APP President Bob Dorsey. Tristan Noyes is the owner of Grow Maine, which farms leafy greens and other crops in Woodland. He has successfully marketed his crops to high end restaurants and others in the Portland area and sees the growth potential. "The restaurants I deal with love the Aroostook brand," said Noyes. "The Portland market holds continuing potential, both in retail and restaurants, especially with The County mystique." Mark Ouellette, Executive Director of Mobilize Maine, attended the meeting to learn about the working group focus and let the group know about an exciting development downstate, which could impact agriculture growth in northern Maine. The Greater Portland Region has received one of 12 U.S. Department of Commerce designations as an "Investing in Manufacturing Communities Partnership" region. The GPCOG proposal was built around the proposed "Greater Portland Sustainable Food Production Center." The region will receive coordinated support for their strategies from 11 federal agencies, with a $1.3 billion pool available in federal economic development assistance. "We think with our work in food systems this is a great opportunity to bind the state together," said Ouellette. "The designation is a big deal because it focuses on the entire infrastructure, including manufacturing, which supports farmers in Maine." Mike Eisensmith, Director of Regional Planning NMDC, oversees the Diversified Agriculture Working Group meetings and emphasized "one of our next steps is to participate with GPCOG on their Economic Development Agency (EDA) grant and use those funds to expand our knowledge of Aroostook production, distribution and markets - once that is accomplished we need to continue to pursue funding for a USDA 'Great Regions' project around food systems, which essentially builds off the EDA grant information." Aroostook, Washington and Piscataquis counties were designated a "Great Region" in 2013, and NMDC was named a key leading organization. The "Great Region" designation does not mean any upfront financial assistance, but may mean preference in applying for USDA grants. Dorsey said the highlight of these working group meetings is the exchange of ideas. "During the round table discussion, our brainstorming on the potential for a food summit in The County evolved into a plan to bring a group of Aroostook producers to Portland for an event where Aroostook food and growers can be highlighted to new customers," Dorsey said. Also during the round table discussion, Jason Johnston of UMPI let the group know about the new Sustainable Agriculture Concentration at the University of Maine at Presque Isle, which reinforces the focus on smaller agriculture. The group was also updated by Sam Blackstone about a Community Supported Agriculture project in Caribou, which is slated to begin next growing season.